Configurations > Practice Information > EDI tab. NOTE: this feature only supports “same day” adjustments, which means if you submit a past transaction, it will not automatically adjust on the patient’s ledger. Printing and sending EDI for predetermination requires fewer clicks now that you don’t need to open the treatment plan. 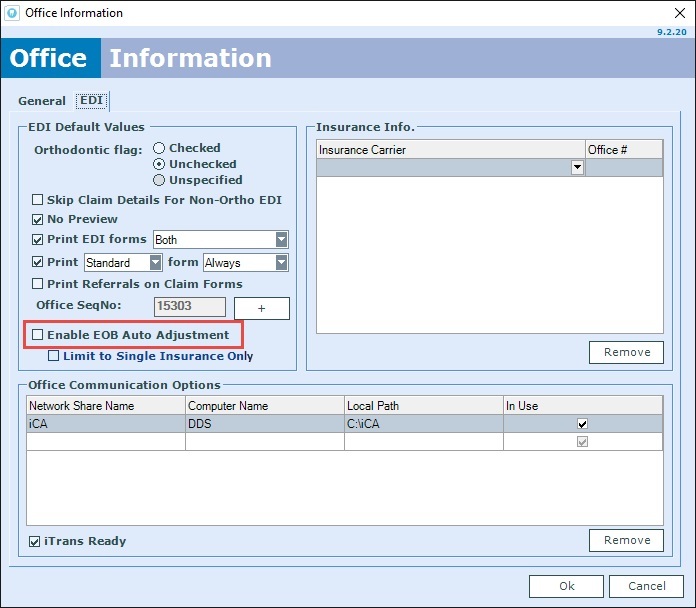 While you are in charting, right click on the treatment and select “Print Predetermination” or “Send EDI Predetermination” to send the EDI to the insurance carrier. You can now copy and paste an appointment in Scheduler! 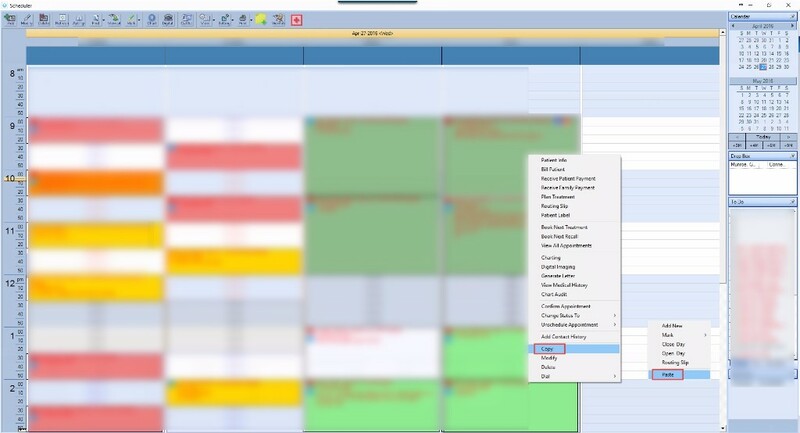 Right click on the appointment and select the copy option, move your cursor to any other time frame you would like, right click again and select the paste option to paste the selected appointment at the new time. Have questions about these new features? Want to check your current version and schedule an upgrade to the latest version of ClearDent? Please contact the Support team to get answers and schedule your free upgrade. NOTE: while the upgrade is free, scheduling for the upgrade with our Support team is provided on a first come, first serve basis and based on our capacity. Your patience and cooperation will be greatly appreciated. We are giving away a $250 gift card along with 4 free hours of training in our#ClearAdvantage contest. Let us know what your favourite thing about ClearDent is and you could win! We are excited to announce that this July, we will be upgrading our ClearConnect feature to include direct, instant 2-way messaging to customers. 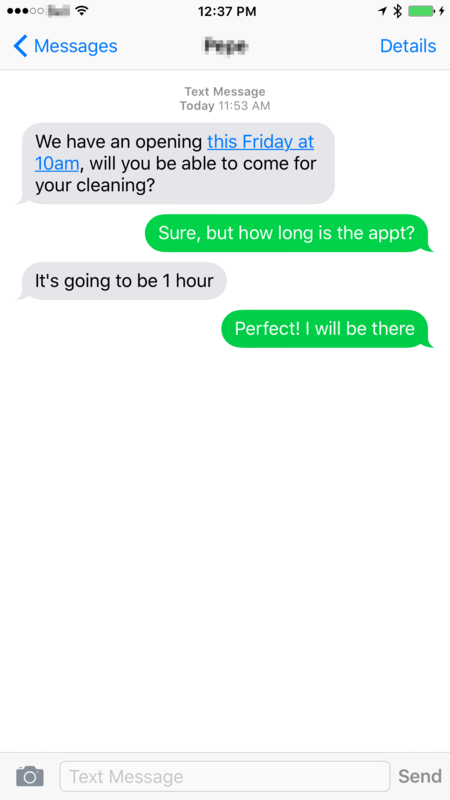 Everyone using the texting feature in ClearConnect will automatically receive our ClearMessaging upgrade free of charge! ClearMessaging is a revolutionary way of communicating with patients by utilizing the texting capability in ClearConnect. To start, you can send a message to the patient directly from within ClearDent. It will show up on the patient’s mobile phone as a text message from your dental practice. The patient can reply via text and it will show up as a reply in ClearMessaging. Perfect for quick reminders, friendly notes and quicker communication in a digital age! Further, you can send messages to a group of patients if there is an opening in the schedule, which is a very effective way to reduce production loss due to no-shows or cancellations. And there’s more! 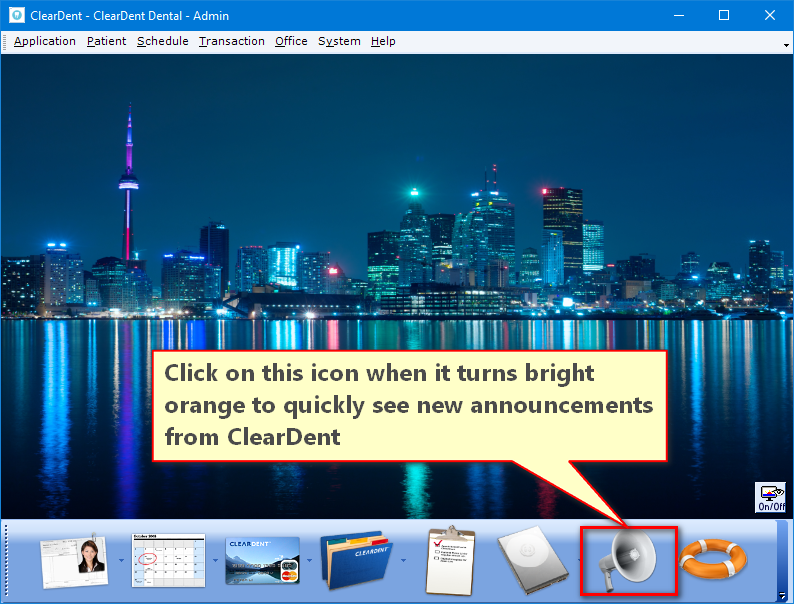 ClearMessaging is tightly integrated with ClearDent and ClearConnect, so patient photos are shown in the messaging window for easy identification. Contact history is also listed in the same window for you to review. This feature will be released alongside the major release in July. Watch out for the announcement on our blog or in your ClearDent, and contact support to schedule the upgrade. Please note that this feature will require ClearConnect with the text option enabled. If you do not currently have ClearConnect, feel free to contact sales for more information about ClearConnect. An additional monthly fee will be required to port the dental practice phone number to the mobile networks so that it can be used as the caller ID when the patient receives the message. This is a requirement by the telecommunication carriers in Canada. Further, some numbers may not be portable and porting will require at least 10 business days to take effect. Both sent and received messages will count towards your ClearConnect text plan and may increase your chance of incurring overage charge. 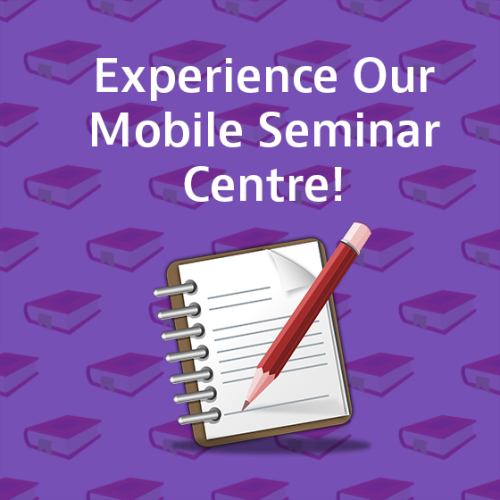 Be The First To Experience Our Mobile Seminar Centre! Which one are you most excited about? After these seminars we are going to have our excellent trainers available to answer any questions you may have about ClearDent. They will even take the time to walk you through how ClearDent can be used to address an issue that is specific to your practice. And, as a bonus, every person that attends a seminar at our Mobile Seminar Centre will be entered to win one of 2 iPad minis. And, every seminar that you attend will mean another entry! Some come for one seminar, or come for all 4! The more topics you learn about, the more you benefit. Backup Image Files and Documents to Save Yourself From Cyber-Attack. 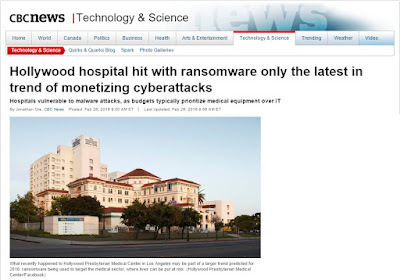 Recently we have seen some dental offices hit by the ransomware "CryptoLocker." A similar case also happened in California as recently as a few weeks ago. Hackers may send malicious emails to your office mailbox, and if the link is clicked, all of your patients' documents and image files will be locked and encrypted without warning. This is followed by a message that will pop up on your screen asking you to pay them online in order to get the decryption code to unlock your data. Make sure you regularly backup your database, image files, and documents, and store the data using a cloud service such as ClearVault. Alternatively, you can backup to a separate device, such as an external hard drive. Do not, under any circumstances, click on a link that you are not sure about. Even if you know the sender, if the link seems suspicious, you are opening yourself up to danger by clicking it. Do not use the free antivirus that comes with Windows as it is not enough protection. Instead, use one of the commercial antivirus software with a high rating at av-test.org. Contact your IT technician to access your backup data and restore your system to the most recently backed up state. If you don't have an IT technician or they are not able to help, feel free to contact ClearDent Support. Are you using email and text to communicate with your patients to confirm their appointments, remind them of their upcoming recalls, or even follow up with them regarding their outstanding treatment plans? If you are already using ClearConnect and want to take advantage of these new features, please email support@cleardent.com to have one of our team members to set them up for you. These new features are part of ongoing enhancement and there is no cost. If you are not using ClearConnect at this point and would like to find out more, please email info@cleardent.com and your representative will contact you to explain to you the benefits, costs, and considerations in using this service for your practice. 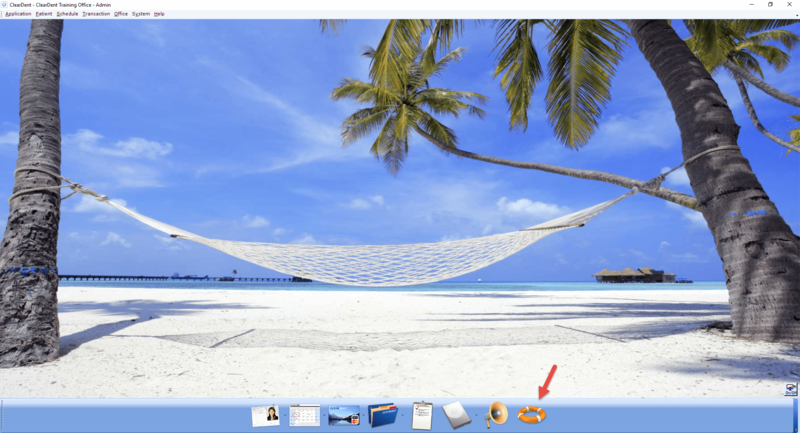 Most of the time, when you require ClearDent support to assist you remotely, you can click the lifesaver icon within ClearDent software. This will install the remote control application “TeamViewer” at which point you will be asked to provide a 9 digit TeamViewer ID. This will download and launch the TeamViewer application and provide you with a 9 digit TeamViewer ID. Having this on hand before calling into ClearDent Support will help us support you quickly and efficiently. Some of our customers have mentioned that it was difficult to sort through our training videos because we have produced over 200 videos to make it easier for you to learn what's new in ClearDent or refresh on some less frequently used features visually. To address this, we have added a new feature to our ClearDent website. 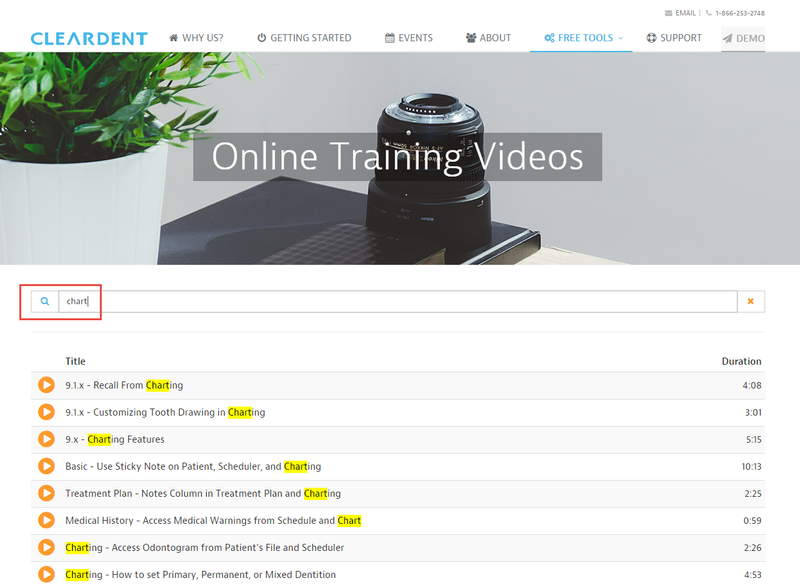 An embedded keyword search engine in our training video library filters training videos to find exactly what you are looking for. It has never been easier to find exactly what you need! We now have an online payment system for you to easily make payments! Simply visit www.cleardent.com/pay and enter fill out the form to pay your invoice. 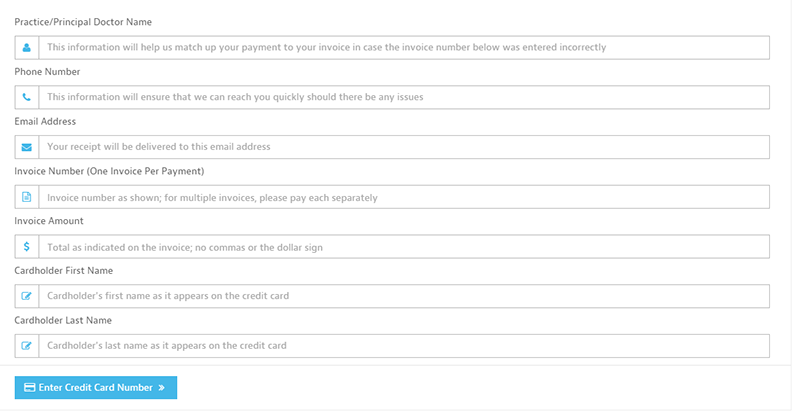 You will receive a receipt in your email almost immediately. We are also using the latest encryption and security methods, so you do not have to worry about your information being compromised. ClearDent takes advanced measures to always remain protected. 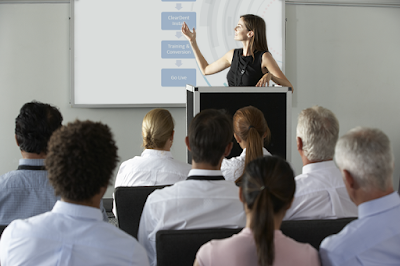 Advanced User Training Classes in Vancouver, Calgary, and Toronto! 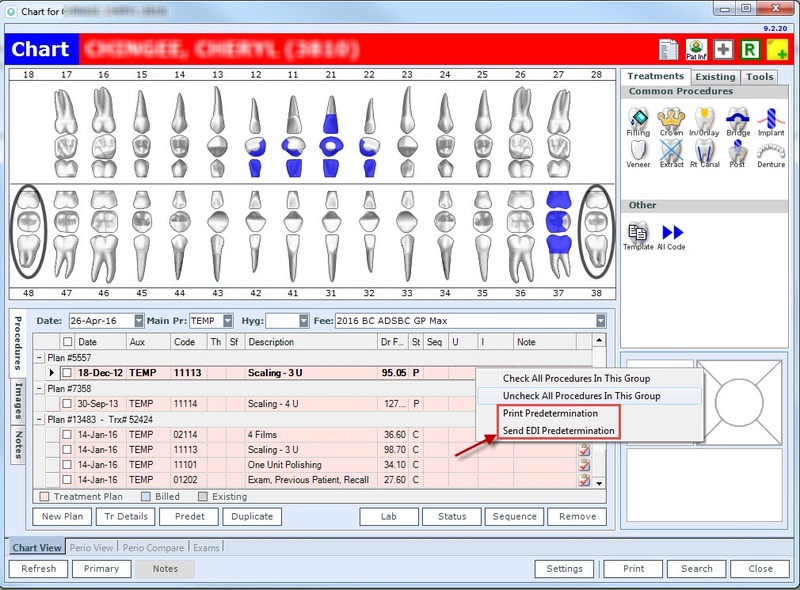 Your office will benefit from using more of the features that ClearDent has to offer. Learn to use your software effectively with Brandi Eckstein and your staff and patients will have to get used to how easy things become.